....Yoga WHEEL - a new and exciting YOGA class from Dream Dance and Yoga! Wheel Yoga is beneficial for the correction and adjustment of spine alignment, alleviation of chronic backaches, and improving body posture. 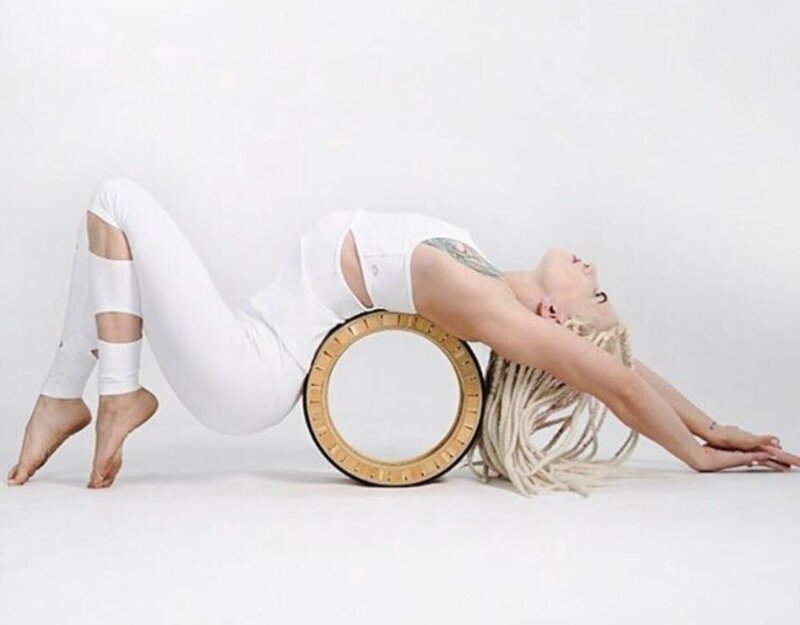 The exercises and poses in Wheel Yoga can help stretch and relax the chest, back and neck muscles, improve the alignment of the spine, and strengthen the various supporting structures of the body. While promoting deep stretching, Wheel Yoga also helps build a strong core through progressive exercises and poses. The primary piece of equipment used in Yoga Wheel exercises is the wheel. The wheel is designed to provide ergonomic support for the practitioner, and helps ensure proper body alignment while preventing injuries during stretching.